Star Wars Vol. 1 – Skywalker Strikes (TPB) (2015) is a trade paperback compilation of Marvel Comics’ 2015 Star Wars series, collecting its first six issues. It was released on October 6, 2015. The greatest space adventure of all returns to Marvel! Luke Skywalker and the ragtag rebels opposing the Galactic Empire are fresh off their biggest victory so far – the destruction of the massive Death Star. 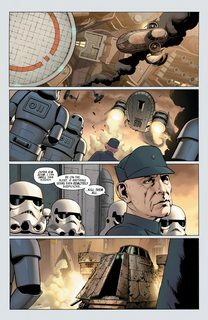 But the Empire’s not toppled yet! Join Luke, Princess Leia, Han Solo, Chewbacca, C-3PO, R2-D2 and the rest of the Rebel Alliance as they fight for freedom against Darth Vader and his evil master, the Emperor! But when a Rebel assault goes wrong, Han and Leia must think fast to make their escape – while Luke comes face-to-face with Darth Vader! In the explosive aftermath, a humbled Luke returns to Tatooine to learn more about his mentor, Obi-Wan Kenobi. 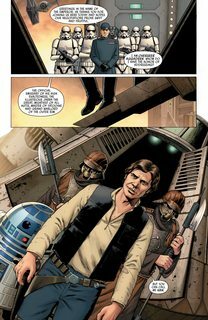 Meanwhile, Leia and Han undertake a vital – and dangerous – secret mission. But can they succeed without Luke? Plus: the menace of Boba Fett! 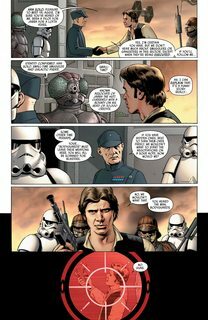 Collecting STAR WARS (2015) #1–6.